Celebrating with our fantastic mini people our Top 20 Recommended Nurseries award for the South West. 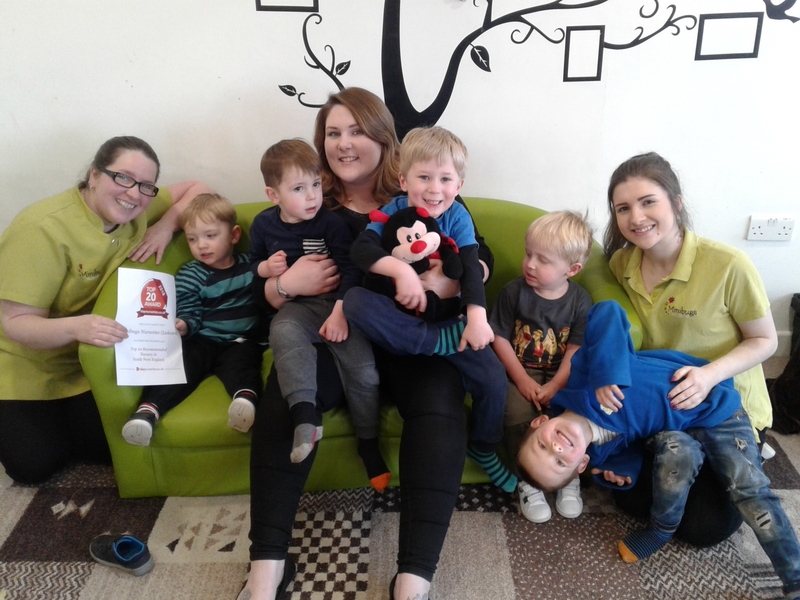 Marina Guido, Managing Director, Minibugs Nurseries Limited said ‘It is an amazing accolade for our teams and nursery group to receive two Top 20 recommended nursery awards. 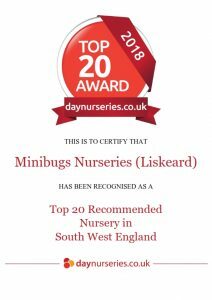 Samantha McCarthy, Nursery Manager Minibugs Nurseries Liskeard said ‘We are delighted to be recognised as one of the Top 20 recommended nurseries in the South West. To have such positive parent feedback is testament to what an amazing team we have at Minibugs and the warm and caring experience we are providing for our children and parents.